Just as several great rivers, the Brahmaputra, Ganges and Meghna, converge in Bangladesh, so do opportunities for science, education and societal improvements in this densely populated nation. These rivers deposit their 1 Gigaton/year of sediment at the rapidly subsiding junction of three tectonic plates to form the Ganges-Brahmaputra-Meghna Delta (GBMD), the world’s largest. The rapid subsidence favors preservation of high-resolution records of the GBMD's dynamic fluvial processes, the tectonics of its growing accretionary prism, and the development of a new convergence boundary. Opportunities abound for a better understanding of fundamental interactions between sedimentation and tectonics, and also of the hazards from earthquakes, river avulsion and flooding facing the 150+ million inhabitants of the GBMD. This project applies a multidisciplinary approach to investigating a set of interrelated processes affecting the GBMD. The central theme is the sediments and stratigraphic architecture of the evolving GBMD as a record of fundamental fluvial and tectonic processes, and feedbacks between them. Drilling of ~250 scientific wells by a local low-cost technique supplemented by mechanized drilling at key sites will provide a detailed ground-truthed stratigraphy. A suite of other measurements will augment this record. Electrical resistivity profiles and marine multichannel seismic reflection along rivers and flooded areas will image subsurface features and correlate between wells. Two nested-well arrays with fiber optic cables will monitor compaction. A seismic network will record local seismicity and teleseismic phases to characterize active faults and regional crustal structure. A GPS network will monitor horizontal and vertical strain. Outcrop geology of deformed Neogene strata will augment subsurface data. 1) Subduction tectonics within the GBMD and sources of future earthquakes. Buried by recent sedimentation and continually changing, the plate boundary geometry and deformation are undefined. 2) The forward jump of India-Asia convergence from the eastern Himalayas to the Shillong Plateau, an astonishing geologic event. The focus is on the new frontal fault developing as a blind structure buried in Bangladesh. 3) Very rapid GPS subsidence rates, which exceed geologic rates as well as sea-level rise. The strategy is to distinguish long-term (sediment loading, tectonics, compaction) and transient components (earthquake, anthropogenic). 4) Channel avulsions of the Ganges and Brahmaputra rivers. Rapid subsidence has helped preserve complete fluvial sequences that can be linked to individual rivers by unique geochemical fingerprints. 5) Integrated basin behavior and evolution: coupling tectonics to fluvial processes, and integrating long-term steady processes with abrupt, short-term events. The application of diverse disciplines and techniques to address fundamental geoscience problems, as well as pressing local issues, will provide a vibrant and unique educational opportunity for all participants: students, post-docs, faculty, and outreach members. U.S. and Bangladeshi students will interact as they train in various research disciplines in action. Research and training activities will be integrated using the unique flume and computational facilities of NCED, with direct comparisons to their highly relevant work on the Mississippi delta. Interdisciplinary field courses and summer schools in Bangladesh are another key educational component. 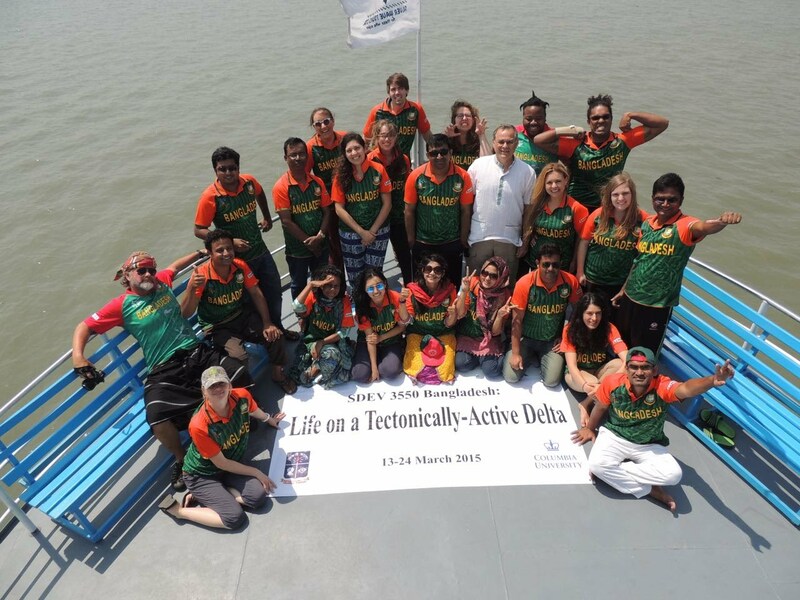 As a major contribution to our host nation, this project will help develop Dhaka University's (DU) Delta Study Centre (DSC) – the only academic resource of its kind in Bangladesh – into a well-outfitted center of excellence on deltaic sedimentary and tectonic research. 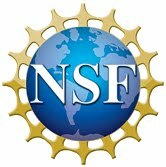 We will work with DU faculty and staff (i) to effectively archive the rich sedimentary well data from this project and elsewhere into a permanent core repository and data center, and (ii) to independently maintain and monitor the critical seismic and GPS networks already established by the Columbia and Dhaka university teams. As a contribution to local citizens, water wells in the villages where we work will be tested for arsenic using portable test kits. The detailed geological template obtained by this project is the one upon which most local hazards play out, including flooding patterns, saltwater intrusion, coastal land loss, arsenic contamination, and earthquakes. This information, archived with the DU DSC, will provide a long-lasting and accessible foundation for geological research in Bangladesh. Images Courtesy of Chris Small and Humayun Akhter, 2005.